In part one of this series, I discussed how former drug users might benefit physically by taking up a regular meditation program. I also touched on how former drug users are at an advantage when it comes to “finding the Self”, as the mind-altering action of some drugs approximates the deeper states of meditation. In this piece, I will address a few mental and inspirational elements that regular meditators enjoy, which will also help former drug users find what we are all ultimately looking for—a deeper connection to our true Selves—all while keeping them off dangerous drugs. Drugs not only make the body feel good, they make the mind feel invincible. Amphetamines were given to World War II pilots as a way to keep them awake and alert on numerous sorties throughout the war. Even today, speed-like drugs are given to ADD-labeled children and adults to help them concentrate. Drugs do, in fact, enhance our mental capacities in the short-term. Whether talking stimulants for alertness and concentration, or the mind-expanding quality of hallucinogenics: the primary use of many recreational drugs is for altering mind-states. Going within via meditation also alters consciousness states. As we deepen our meditative practices, we pass through states of consciousness that simulate dream states or even deep sleep (albeit consciously). It is for this reason that former drug users have a hand up on most non-users—they know what it feels like to pass through these varying stages of consciousness. When meditating, the former drug user will recognize and feel a sense of calm, ease and comfort passing through these stages. Call it an acquired skill to feel comfortable as one makes it through these transitions. The average person often must take several passes through a consciousness state to feel comfortable enough to allow it to happen on its own without a mental disruption or dispersion of the state. From a mind perspective, meditation has also been shown to decrease anxiety—a godsend to anybody who uses, or has used, drugs at one time or another “to cope.” Studies have shown meditation increases stress adaptability as well. Or plainly, regular meditators handle stress better—one reason some people turn to drugs to begin with. Further, meditators have been found to feel less lonely. It is well known that loneliness is associated with increased incidence of illness and death. A regular meditation practice, then, goes a long way to preserve the psychological, emotional and physical wellbeing. Finally, regular meditators have been found to have increased brain activity in the prefrontal cortex, the area responsible for executive function, while simultaneously decreasing activity in the amygdala, the area of emotional reaction. Executive function encompasses a number of mental processes, but put simply, this region is responsible for inhibiting emotional outbursts or impulsive behaviors. The amygdala, on the other hand, is the area where memory, decision-making and emotion work together to elicit quick responses. These two regions are regularly at odds with one another, balancing how we wish to act—venomous anger for example—with how we contain ourselves. The amygdala in teens, for instance, develops much more rapidly than the prefrontal cortex, leading to more reactionary decisions and impulsive behavior (one reason teens are at higher risk for accidents). But by meditating regularly, executive function is enhanced while reactionary amygdala function is depressed, and thus the practitioner becomes more poised and disciplined, thinking things through rather than exploding in unrestrained emotion. Some people have had spiritual experiences on drugs, as attendees at Woodstock or today’s raves might attest. This is because chemical substances acting on the brain can open doors to insights, compassion and even a feeling of “oneness,” things we ultimately all crave as human beings. For this reason, many habitual drug users return again and again to drugs to relive a temporary experience which we intuitively feel should be more permanent. Users who have spiritual experiences are correct in their intuition—feelings of oneness are our birthright, and they should persist beyond the temporary high felt from drugs. The only way to tap into this eternal unity is by going within and awakening to the Self. While the term Self is actually interchangeable with many others—God, the absolute, the final reality, etc—it is incomplete and incapable of fully describing what yogis would call the source of all things. 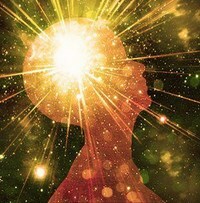 No matter which name you give it, this source is what we all truly want: reconnecting with the Self is the inner drive which underlies all human desire. And it is exactly this which is the basis for people turning to drugs. When we uncover our true Selves, however, we concurrently uncover the bliss inherent in our source of being. Through this uncovering we come to realize that we exist in this material dimension (our form) for a purpose, and the deeper we go within, the stronger our realization of our life’s purpose becomes. But interestingly for the former drug user is that this realization also brings to light the purpose of the chosen path of substance abuse. Most people enter professions where they wish to make a difference, either in an area which they perceive themselves to have failed in the past, or in an area which they themselves have been helped. It is not surprising then that many former drug users, myself included, look to make a difference in the world of recovery—helping other addicts shake the illusions of the high drugs provide, and in finding the truth inherent in uncovering the Self. Regular meditators have also been found to cultivate greater compassion—for themselves and others. Why is this important? Because it is so easy to beat oneself up for perceived mistakes one has made, and every other shame and guilt that comes along with drug addiction. Having compassion for one’s choices comes from a deep understanding that one receives as a result of going within. By understanding the greater purpose of our choices, we can open up to a world of gratitude for the life we have lived, and how it has lead us down our current inspired path. The highest service in life comes through giving from a place of compassion—the I-have-been-there-before state of empathy. Nobody can relate to this more than former drug users who have dedicated their lives to helping others, and this compassion is enhanced by a regular meditation practice. Meditation has also been found to improve a person’s skill at introspection—the ability to reflect on one’s life and oneself mentally and emotionally. People who have a strong ability for introspection come to know themselves better, make better choices, and experience greater growth spurts emotionally and spiritually. As a consequence, meditation also opens the floodgates to inspiration, so creativity is enhanced as one quiets the mind of its incessant chatter and allows the Self to reflect unimpeded. Most creative geniuses have a way of tapping in—meditation is one surefire way to unleash our inherent potential and express creative genius. Start today to take advantage of this power we all possess. People typically return to drugs to recreate an experience that brought them close to feeling the bliss of oneness with all things. That is because drugs open doors to states of consciousness which simulate stages we pass through along the path to union—the known deeper states of meditation. Drug-induced altered states of consciousness, however, are short-lived and they come with many unwanted side effects, most treacherously death. But what drug users are searching for is what all people ultimately search for: the bliss that comes from awakening to our true Selves. While many paths to the Self exist, meditation is time-tested and proven; its effects are long-term, and its many changes are permanent. Drugs will never bring the seeker what he or she is looking for, because like all external experiences, they are transitory and illusory by nature. Only by going within and uncovering the true Self will an individual find what he instinctively seeks: union with the entire universe. Meditation is a tool available to all of us—rich, poor, young, old, male or female—to bring us in-touch with our true essence, while enhancing our lives in body, mind and spirit. But even more astoundingly, former drug users may be at an advantage as they have experience in passing through various altered states in which the average, non-drug user is not so immediately comfortable. These reasons seem overwhelmingly encouraging for those in recovery to take on a meditation practice. Turn on and tune in, if you will, and you will find exactly what you have always been looking for. Yes i believe from a mind perspective that meditation has also been shown to decrease anxiety. All points discussed here are great.